Out-of-school learning groups are becoming increasingly popular. There a number of ways your child can take part in out-of-school learning. Whatever form of out-of-school learning you are considering for your child, research has shown that out-of-school learning can be very beneficial to a child’s education as well as providing a fun way of learning. Out-of-school learning groups can also provide the answer to some childcare problems, for example if you go to work early or need someone to look after your child in the school holidays. Additionally, although you do have to pay for some out-of-school learning groups, some are free and even when you do have to pay, out-of-school learning groups are generally cheaper than options such as childminders and nurseries. These days there is a wide variety of out-of-school learning options. Many out-of-school-learning groups are held in school, but some are held in other venues such as museums, galleries, and even outdoors. Out-of-school learning clubs can take place before school, after school, during the holidays, on lunch breaks and even on weekends. After-school-learning is voluntary, but many believe that it can really help progress children’s learning, and often children really enjoy out-of-school learning activities. As well as supplementing what children learn in school from the curriculum, after-school-learning clubs will often cover additional ground such as healthy eating, keeping fit and exploring artistic skills and creativity. After-school clubs can cost between £25 and £50 per week. These after-school clubs usually run from the time school finishes to about 5.30 0r 6pm. A snack and a drink will usually be included. Holiday play schemes usually cost around £50 to £75 per week. These schemes usually run from 9am, or a little earlier, to about 6pm. Snacks and drinks are often provided but you may be expected to provide your child with a packed lunch. Breakfast clubs cost on average about £1-£6 per week. Breakfast clubs usually take place at schools early in the morning, from 7.30 or 8 until school starts. A simple breakfast will usually be included. If your family is on a low income you may be able to receive a top-up in the form of Working Tax Credit. This money could be used towards the cost of any out-of-school learning. Some employers provide childcare vouchers to help pay towards childcare costs such as out-of-school-learning fees. The value of the vouchers is taken from parents’ wages and they are tax and National Insurance free. 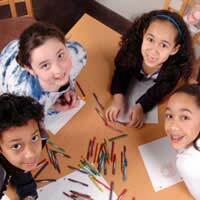 Out-of-school-learning groups can provide a cost-effective, fun and educational childcare option. Ask today what’s on offer in your area. I’ve finished beauty school level 3 I’d like to do a DEploma which is a 2 year course on ODP nursing course , I’m not working and I’m single and I’m 35years of age can am Ieligible for funding or not? I look forward to hearing back from you.